How Has General Electric Sparked Up Its Advertising? General Electric (GE) may be a pioneer in electricity, but its image has been far from electrifying. Until now. The company of Thomas Edison, which invented the light bulb, is now reinventing its stodgy, industrial image in a new advertising campaign that shows the company in a more innovative light. The campaign was recently launched to correspond with National Inventor’s Day in the US, which occurs on Edison’s birthday. Mashable.com shared more from the campaign designed to position GE as a high-tech hub of innovation. To shed General Electric’s dull, dated image and promote the company as a live wire in modern technology, its new ad campaign called “Unimpossible Missions” features a series of videos displaying fascinating footage of stunning technology-driven experiments. The videos highlight the awe-inspiring power of the company’s advanced equipment and amazing employees. 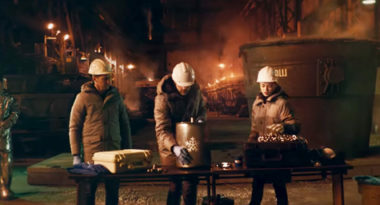 The ads show GE employees in a number of remarkable situations, from scientists using supercapacitors to capture high-voltage currents, to workers encasing icy snowballs in metal and then immersing them in ultra high heat without a drop of water lost. With this new ad campaign, GE is striving to reinvent its image as a company current with today’s high-tech needs. Watch what’s new in advertising. Contact MDG Advertising.